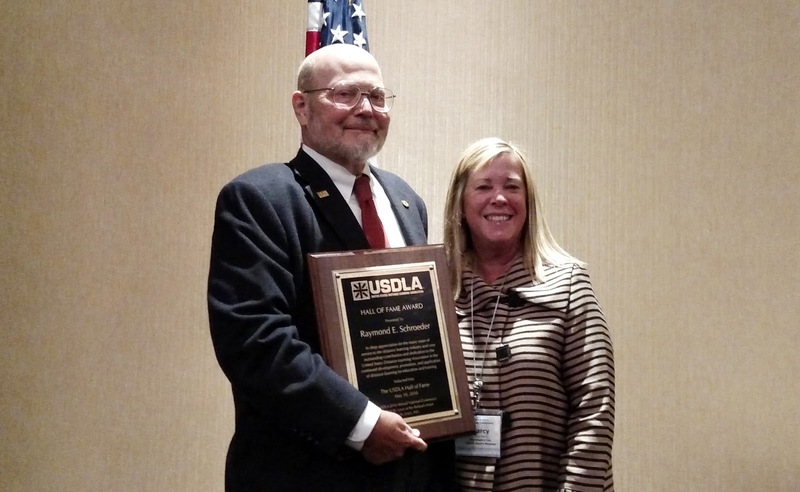 Ray Schroeder, associate vice chancellor for online learning at the University of Illinois Springfield, was honored by the United States Distance Learning Association (USDLA) with their Hall of Fame Award during the association’s conference in St. Louis on May 10, 2016. The award is presented to an individual who has contributed significantly to the field of distance learning through leadership, technology, research and teaching. Schroeder is a nationally recognized leader in the field of online learning and is the current director of the Center for Online Leadership and Strategy at the University Continuing and Professional Education Association (UPCEA). He regularly presents his research at national conferences and has written numerous publications about online and technology-enhanced learning. He is also the author of the popular blogs Online Learning Update and Educational Technology. He was a Sloan Consortium Distinguished Scholar in Online Learning 2002-2003, recipient of the 2002 Sloan-C award for the “Most Outstanding Achievement in ALN by an Individual,” University of Southern Maine “Visiting Scholar in Online Learning” 2006-2009, and co-founder of the New Century Learning Consortium.